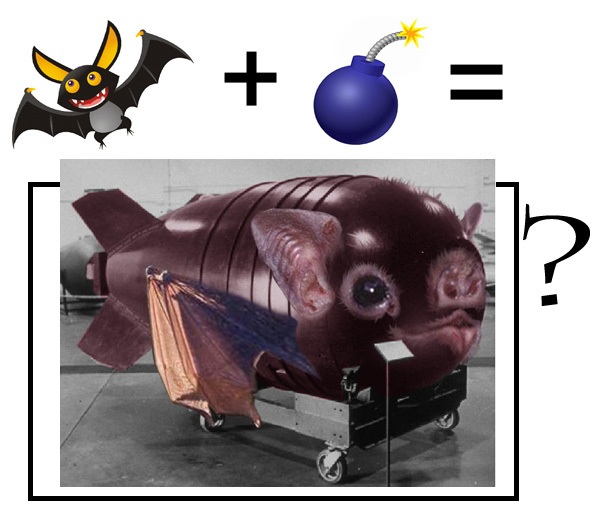 During World War II, the Americans came up with a great idea– put tiny time bombs on dozens and dozens of bats, put ’em all in a big bomb, and toss it out over Japan. Bats, after all, fly quietly, operate at night, carry heavy weight, and nest in eaves and rafters. They even spent $2 million dollars on developing it. Elsewhere at the same time, other scientists were developing a different kind of bomb entirely. . .